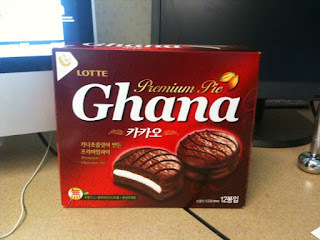 That's right ladies and gents: premium Moonpies from South Korea! Mmmm. This makes me wonder where else around the world we could find these tasty treats (read: Moonpie scouts needed). On another Moonpie-related note, I received this "Thank you" from one of our younger fans today: http://www.youtube.com/watch?v=6thlf7lGlh8. A future moon explorer in the making, wouldn't you agree?